Memories are notoriously personal and fluid - and when three sisters are re-united, their different recollections of childhood stir up secrets from both their past and present lives. 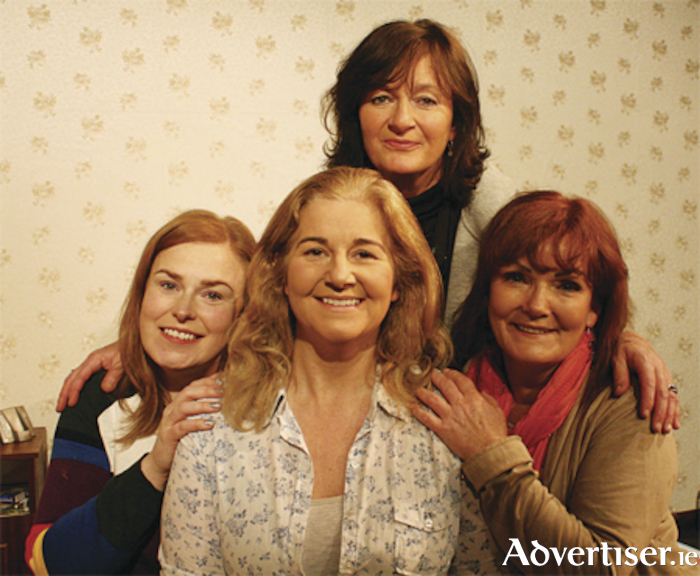 Athlone Little Theatre's upcoming production, The Memory of Water by Shelagh Stephenson, opens on Sunday, April 22, and explores the experiences of the past and how they have shaped the lives of Mary (Tina O'Hara ), Teresa (Martina Breen ) and Catherine (Mary Johnston ). Mary is an outwardly successful doctor; however, she is haunted by a secret, unknown even to her long-term lover, Mick (Joe Steiner ). Teresa, on her second marriage, runs a health food business with her reluctant business-partner husband, Frank (Martin Kelleher ). Resentful at being left to care for their ailing mother, her coping strategies include obsessive organisation and efficiency. Catherine, the youngest, lives for the moment, fulfilling her neediness by clothes shopping, short-lived romances, and mind-altering substances. When a family event brings them together, no further catalyst is needed to set off the firey dialogue and witty banter, for despite the sometimes bitter theme of conflicting memories, this play won the Olivier Award for Best Comedy in 2000. Overseeing the drama, and refusing to be sidelined by her bickering daughters, mother Vi (Jenny Cooper ) wryly observes that "some things stay in your bones". Playwright Shelagh Stephenson was born in Northumberland and read drama at Manchester University before becoming an actress. She is the author of several radio plays and worked as a scriptwriter on some episodes of Downton Abbey and Casualty. Paddy Martin, who can be relied upon to produce a well-paced play, directs a cast of experienced and accomplished actors, and also designed the lighting and sound plot. John Donnelly will operate the lights, and stage management will be headed up by Doreen Holloway. Further assistance has been provided by Clive Darling. The Memory of Water will run at 8pm from Sunday, April 22, until Saturday, April 28, at Athlone Little Theatre, St Mary's Place, Athlone. For online bookings see www.athlonelittletheatre.ie or phone (090 ) 6474324. Check Facebook for regular news.